The suspense over the uncertainty regarding the fate of the Shipra Mallick-led Digboi Town Committee (DTC) came to an end on Tuesday as the rebels failed to get majority in favour of the ‘no confidence’ motion moved against DTC chairman Mallick. Earlier, a five-member team of Ward Commissioners of Digboi Town Committee (DTC) moved a ‘no confidence’ motion against DTC chairman Mallick. But the House was restored following the failure of the rebels to get sufficient votes to prove majority and in favour of the ‘no confidence’ motion against DTC chairman Mallick on the floor. Teli and MLA Suren Phukan voted in her favour,” said official sources. 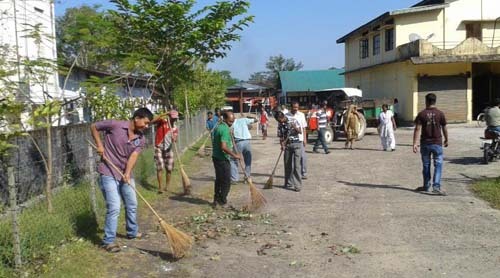 “In the state of affairs with 5 votes on both sides, the rebels who moved the motion failed to prove their majority with required strength and we emerged victorious during the process thus ending the long pending turmoil in the town civic body,” said BJP MLA Suren Phukan after restoring the BJP power in the DTC. Meanwhile, Bhaskar Jiban Baruah, who was leading the aggrieved team, alleged that they boycotted the voting on Tuesday after the MP and MLA violated the proceedings indulging in a controversy with the members, including the BJP Ward Commissioners, who moved the motion and were threatened of suspension from the party. Pradhan of Ward No 1, Sushanta Bhattacharjee of Ward No 4 and Preety Kherwar of Ward No 5 alleged that the present chairman of the civic body, Shipra Mallick, hijacked the civic body. They also alleged that the present DTC chairman has failed to deliver and address the problems of the residents in all the wards due to her “step-motherly” attitude .